Photo courtesy of: Great Lakes Marine Historical Collection. The Tug SILVER SPRAY was built at West Bay City, MI by F. W. Wheeler & Co for Henry Corcan of Eagle Harbor, MI. Her dimensions were: length, 54 feet; beam, 15.8 feet; hull depth, 6 feet; and gross tonnage, 38 tons. From 1895 to 1924 the SILVER SPRAY’s home port was Marquette, MI. During those years, she presumably was employed as a towing vessel on Lake Superior. From 1925 to 1939, she was owned by the Kreetan Company of Drummond Island. 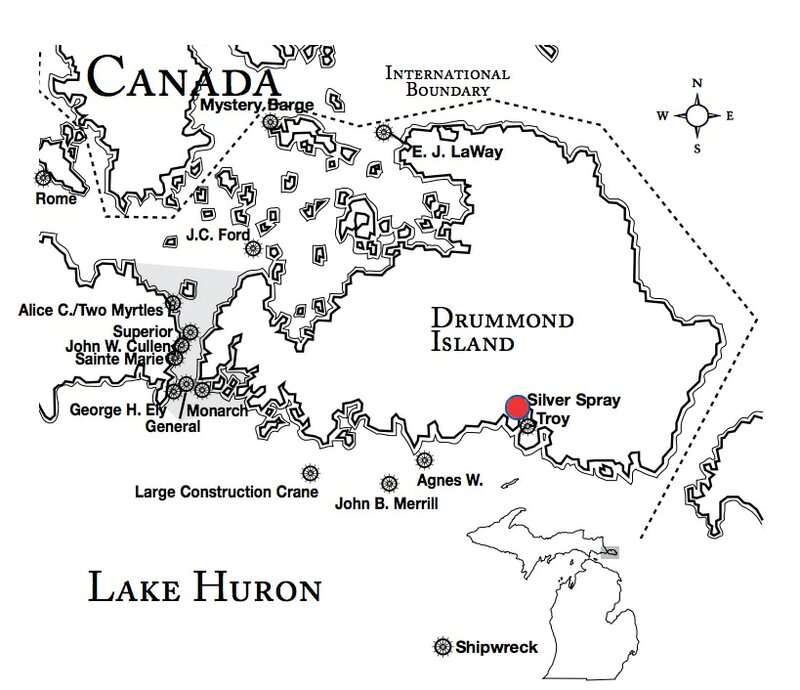 The Kreetan Company was a lumber company located at Johnswood on Scammon Cove near the eastern end of Drummond Island. The tug was abandoned near Meade Island on the west side of Scammon Cove when the Kreetan Company went out of business. Although the SILVER SPRAY was still listed as an actively enrolled vessel as late as 1939, it is possible that she was abandoned much earlier. Wreck Description: The lower hull is completely intact with the upper deck and cabin structure gone. The engine has been salvaged, but the boiler is still on the wreck. This is a great snorkeling wreck. 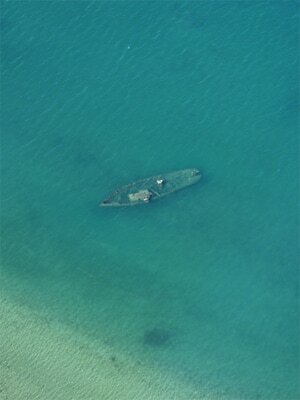 Wreck Location: The wreck lies in 5 to 10 feet of water on the western side of Scammon Cove, near Meade Island. Depth: 5 to 10 feet of water.